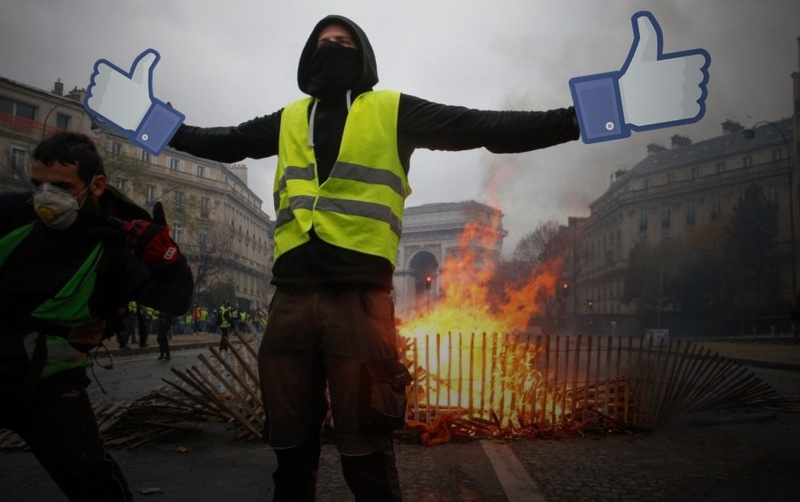 Facebook's changes to content display algorithms met with “the fierce devotion in France to local and regional identity,” and the so-called yellow jacket protests in France exploded. “What’s happening right now in France isn’t happening in a vacuum,” reports Buzzfeed. The Yellow Jackets movement — named for the protesters’ brightly colored safety vests — is a beast born almost entirely from Facebook. And it’s only getting more popular. Recent polls indicate the majority of France now supports the protesters. The Yellow Jackets communicate almost entirely on small, decentralized Facebook pages. They coordinate via memes and viral videos. Whatever gets shared the most becomes part of their platform.